Please send in your Full Name, email address, your resume and all information you think is relevant to the position you are volunteering for. ¨Positions are not renumerated unless otherwise stated. 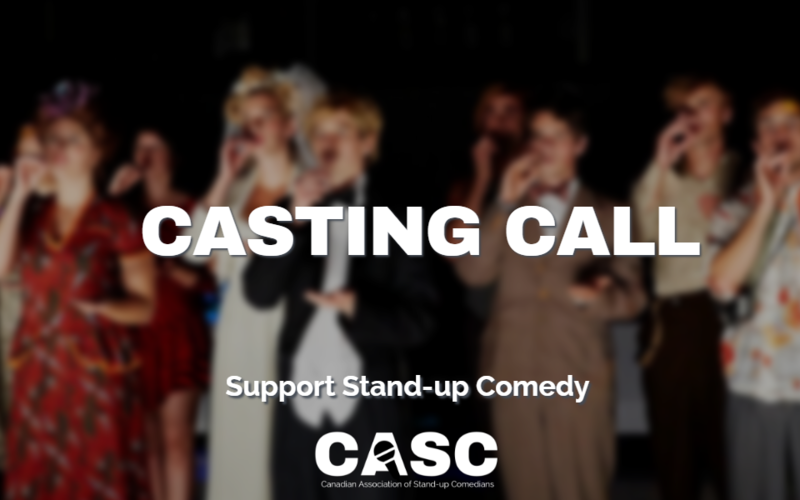 This role will be responsible for creating videos and messaging that communicate CASC’s mission/vision to members and the general public. 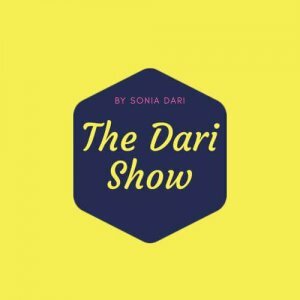 It will include sharing latest news and information in a fun and enlightening way. 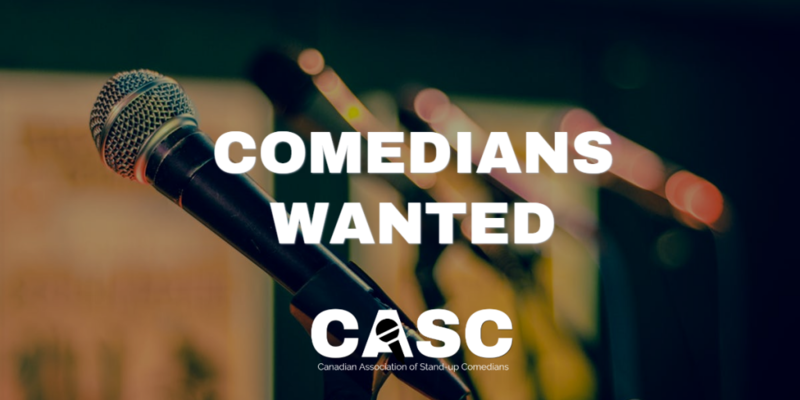 CASC is after all an association of comedians so the main goal is to make them smart, wickedly funny and communicate the real challenges our industry faces in Canada. We want Canadians to know just how critical the role our community plays in the creation of culture and identity in our country. Create designs, concepts and sample layouts and execute CASC graphic communication including scheduling project implementation and defining budget constraints. They will work with a wide range of media to bring CASC’s message and advocacy to life. 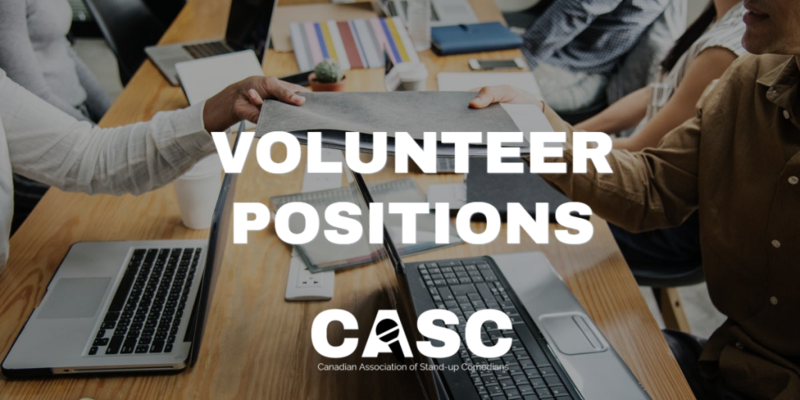 This person will work with the Executive and Communications Coordinator to understand scope of work and ensure all communication adheres to the CASC brand. 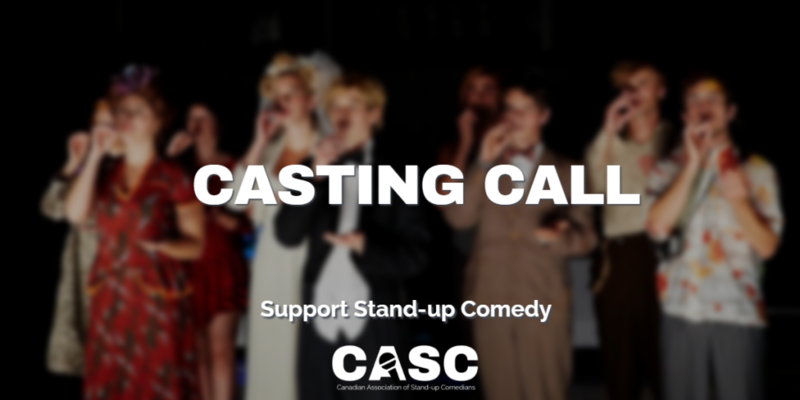 CASC requires the services of a publicist/media relations person to get positive press coverage. 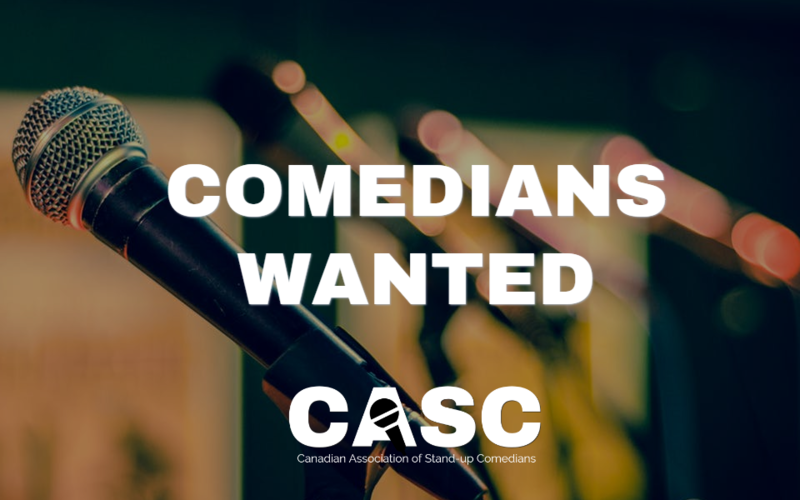 This position requires creating and maintaining good relationships with journalists and media outlets by sending them original, insightful, timely story ideas about CASC and the stand-up industry in general. 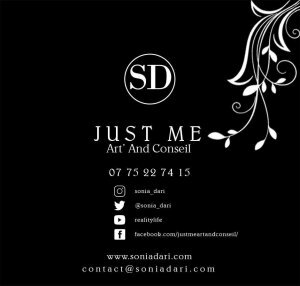 We are looking for someone to write media releases and assemble press kits. Coaching executive and key CASC personnel on how to speak with reporters and what to say is also key. It’s also important for this person to know if a publicity campaign is working by tracking coverage and measuring effectiveness. This position would transition into contract upon securing revenues in the budget.